Thogmorton Center for Allied Health - PWArchitects, Inc. 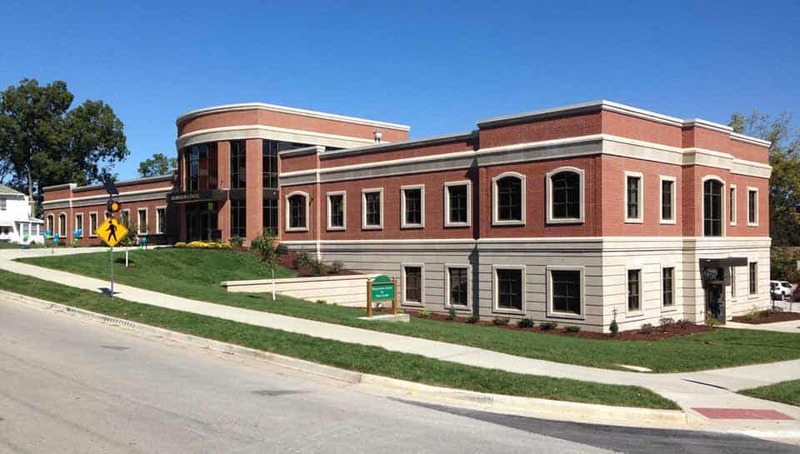 The Central Methodist University Allied Health Building project is a two-story classroom and lab building for Allied Health Professionals. The main level is mostly all classroom and instructional space. There are four general classrooms, two specialty Occupational Therapy/Physical Therapy (OT/PT) classrooms and two athletic training classrooms. The later four have folding partitions between them to allow the separate classrooms to combine as needed into a larger learning environment space. 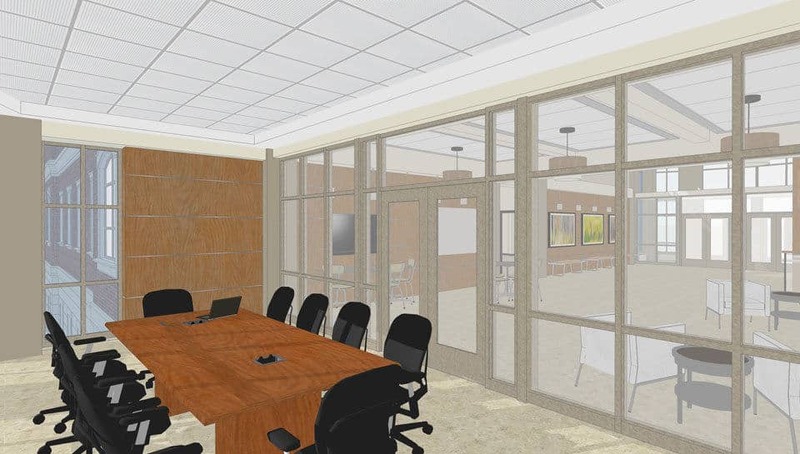 Off the main lobby is the building’s main conference room along with several study/collaboration spaces. Additionally, there is a specialty OT/PT life skills lab on this level. The lower level of the building houses staff offices, a computer lab and additional study/collaboration spaces along with the facilities two main simulation labs. 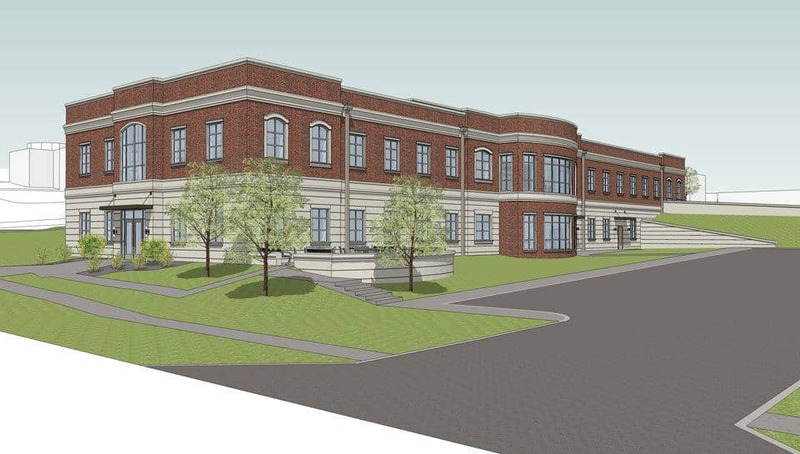 There is a larger eight bed space that is laid out with a central nurses station, control room for video/observations, two debriefing/conference rooms and physician’s office exam room. The smaller simulation lab has a physician’s office exam room in addition to two emergency room bed spaces and computer records positions. 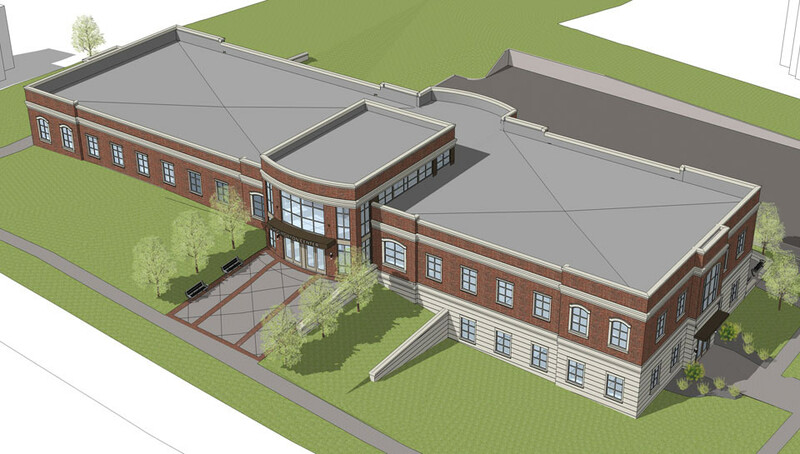 When completed, the facility will be state-of-the-art with technology for teaching/researching purposes. It will also be energy-efficient with the use of a geothermal heating and cooling system – one of the most efficient and environmentally friendly systems available. Click here to see photographs of the interior design of the building completed by Spellman Brady & Company.